Weaving her own experience with remarkable new discoveries, Grandin introduces the neuroimaging advances and genetic research that link brain science to behavior, even sharing her own brain scan to show us which anomalies might explain common symptoms. We meet the scientists and self-advocates who are exploring innovative theories of what causes autism and how we can diagnose and best treat it. Grandin also highlights long-ignored sensory problems and the transformative effects we can have by treating autism symptom by symptom, rather than with an umbrella diagnosis. Most exciting, she argues that raising and educating kids on the spectrum isn’t just a matter of focusing on their weaknesses; in the science that reveals their long-overlooked strengths she shows us new ways to foster their unique contributions. From the “aspies” in Silicon Valley to the five-year-old without language, Grandin understands the true meaning of the word spectrum. 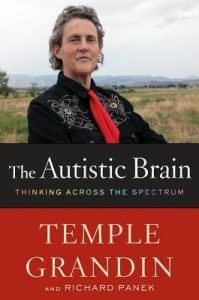 The Autistic Brain is essential reading from the most respected and beloved voices in the field.